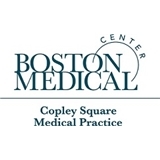 BMC Copley Square Medical Practice (Boston) - Book Appointment Online! BMC Copley Square Medical Practice is a comprehensive primary care practice providing ready access to excellent acute, chronic and preventive medical care delivered in a compassionate and supportive environment. Our goal is to practice today's medicine with a personal and caring style. In addition to providing primary care, our highly accomplished, board-certified internal medicine doctors and nurse practitioners have expertise in hypertension and cholesterol management, preventive cardiology, travel medicine and women's health. Our patient-centered practice focuses on providing the highest-quality care. Boston Medical Center is our primary hospital and referral center. Dr. Lytle was very friendly, professional, and intelligent throughout my appointment. She answered all my questions and addressed any concerns I had. I would definitely recommend her as a physician. Great visit! Very friendly staff. Everything was extremely efficient.